Sister Agnes Ann Sanders McCray was born April 23, 1938 to the late Willie and Adline Sanders. She was the third of nine children, with one sister and six brothers preceding her in death. She was preceded in death by her husband, Willie Clarence McCray, and one daughter, Phyllis Ann McCray. Sister Agnes graduated from Coffee County Training School in 1957. She was employed at the Dining Facility at Fort Rucker and at Wal Mart in the Bakery and in the Domestics Department. She united in Holy Matrimony to Willie Clarence McCray in 1958, and to this union they were blessed with three children: two sons and one daughter. 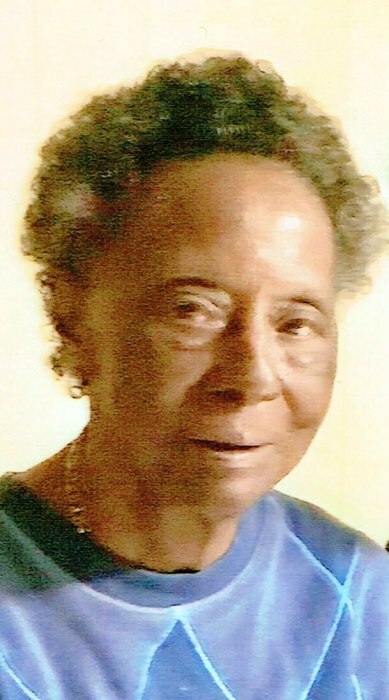 Sister Agnes McCray was a faithful member of Johns Chapel AME Church until her health began to decline. Sister Agnes Ann McCray leaves to cherish her legacy two sons, Willie Charles McCray and Scottie Jerome McCray; six grandchildren: Jamel (Tracy) Scott, Jeremy (Terera) Scott, Maranda McCray, Eboni Thomas, Sommer Montgomery, and Maranda Moore; one sister, Bobbie Nell Sanders Brown, and one brother, Frank President Sanders; eight great’grandchildren; sister-in-law, Joanne Sanders, and a host of nieces, nephews, cousins, and friends. Her caregivers were Sophia Pittman, Mattie Denson, and Jeanette Sanders; and a very special friend, Dorothy Holmes.